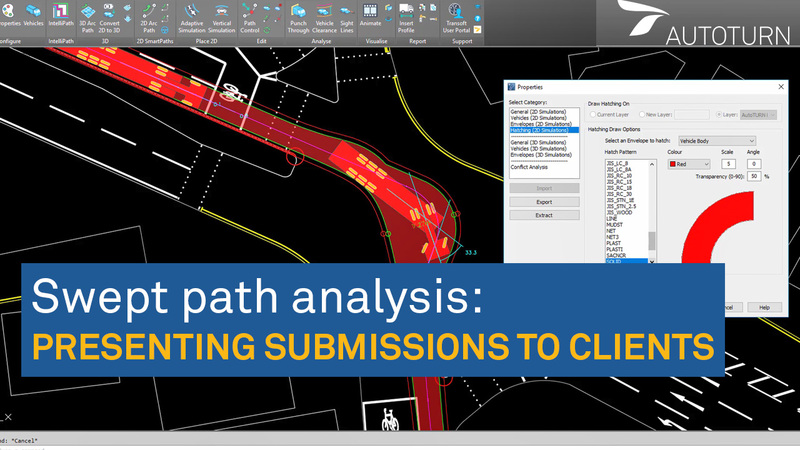 This UK video demonstrates how you can apply specific styles to swept path submissions to make findings clearer, increase aesthetic value or simply match your company branding and CAD standards. You will also learn how to include additional analysis within submissions such as sight-lines, grade capabilities and conflict clearance. This video features UK drawings and therefore shows left hand driving. This video was made using AutoTURN®, vehicle swept path analysis software.